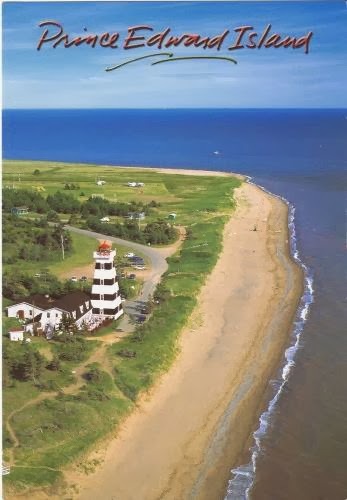 Postcard CA-406670 from Canada shows Prince Edward Island, one of the three Maritime provinces in Canada. It is also the smallest province in Canada in terms of both land area and population. The island has a nick name of "Garden of the Gulf" referring to the pastoral scenery and lush agricultural lands throughout the province. It is hard to imagine that it produces 25% of Canada's potatoes.